I realized this morning where Duke stands going into today’s 5 o’clock tilt with Baylor. On the verge of the program’s first Final Four since 2004. Coach K’s eleventh trip to the promised land in his legendary career. An opportunity for our seniors to reach the climax of their careers on college basketball’s biggest stage. But the most important aspect may be abstract and intangible, a feeling rather than a statistic. A trip to Indianapolis would redeem the trend of March heartbreak, and silence all the doubters who questioned Duke’s placement in the weak South region. The experts and pundits question Duke’s ability to handle an athletic and hungry Baylor team, whose first NCAA tournament appearance has been a fantastic success. Moreover, we’re playing them on their turf: Waco, Texas is just four hours from Houston’s Reliant Stadium. Baylor demolished the upstart St. Mary’s Gaels—they look comfortable on that weird raised floor. This game will not be easy, but we have been building to this moment for four years, ever since LSU’s Garrett Temple shut down JJ Redick and crushed Duke’s hopes of a 2006 title run. Laettner’s shot eighteen years ago sent Duke to a “-polis” (Minneapolis) which resulted in our second straight national title. Will Duke require more heroics to make it to Indy? Hope not. Let’s put down the Bears and get ready to take care of business in Indy. Section 17: Reality Check in D.C.
After banging out a home win against Florida State on Wednesday, Duke faced a tough test on Saturday afternoon. Seventh ranked Georgetown. 20,000 Hoya fans packing the seats of the Verizon Center. Coach John Thompson III going for his 200th win. And then President Obama decides to show up, sweater-clad VP Biden in tow. Georgetown came out swinging, and we came out dull. The Hoyas put on a statistical show en route to an 89-77 win, a margin that could have been 20 had the Hoyas applied defensive pressure in the last minute. The numbers are staggering: nine blocked shots, nine steals, 20 assists, and a ridiculous 74% field goal percentage. The Hoya ‘Big Three’ came to play: Greg Monroe (21 points), Austin Freeman (20 points) and Chris Wright (21 points) dominated Duke with the outside shot, off the dribble and in the paint. Of those three, Greg Monroe was the absolute star. A former recruit of Coach K, Monroe abused our interior defense in the second half. He showed a variety of moves, including two spin moves with either hand for an easy layup. This seemed to be a statement game for Monroe, who had a horrid showing last season when the Hoyas lost in Cameron. Monroe proved his mettle on the big stage, and got his revenge against Duke. So what can Duke learn from this difficult loss? Here are some of my thoughts. 1. Defense, Defense, Defense. A graphic popped up late in the CBS broadcast that 89 points was the most Duke has allowed all season. Moreover, it was 17 points above Georgetown’s average offensive output. For a team that is perhaps seven deep, Georgetown’s offense flowed like melted wax over a branding iron. Duke won the previous two games with their defense. We held Clemson to 47 points, its lowest home total in seven years, and prevented Florida State from getting into any offensive rhythm. So what happened in Washington? Coach K told the media before the game that Georgetown had had a week to prepare, while Duke had played on Wednesday. That’s a good point: Georgetown certainly looked fresher. But it doesn’t tell the whole story. Georgetown runs a Princeton style offense, predicated upon quick backdoor cuts and precise passing. Each Hoya is capable of making those passes, and Duke didn’t adapt its on ball defense. We were beat backdoor over and over again. When Coach K went to a zone in the first half, the Hoyas shot over it, nailing five of their six total three pointers. At that point, I considered them to be on a hot streak that would eventually cool. Hardly. Shooting 75% may seem lucky, but our defense allowed Georgetown to dictate the tempo and get easy shots. Coach K is all about collective responsibility. Accordingly, that was a team losing effort on defense. In order to compete in March, we must be ready for the fast-paced, physical style of teams like Georgetown (and basically any Big East team). In the disaster that is this year’s ACC, we may win despite playing poor defense. But I’d rather hold every team under 60 points, wouldn’t you? “The Duke game is always their national championship.” In a way, this is true. The four blue letters across our jerseys inspire a hatred and passion that no other program can evoke. Teams (and their fans) want to beat Duke—knock us off our pedestal, if you will. So nearly every road game will be a fight for Duke; we will get the other team’s best shot. Nonetheless, we usually win anyway. John Roth pointed out in an Jan. 2009 article that Duke had won 77% of their ACC road games since 1998, a mark 14 percentage points better than the ACC’s home winning percentage in that period. Despite the pressure and hatred, Duke usually wins. That is, until this year. All four of our losses have come in true road environments: Wisconsin’s Kohl Center, Georgia Tech’s Alexander Memorial Colosseum, NC State’s RBC Center (wtf? ), and this weekend at the Verizon Center in Washington. Each of these games we have looked tired and sluggish on offense. Our defense—and Nolan Smith’s heroic scoring—beat Clemson in Littlejohn. We only scored 60 points, hardly an offensive juggernaut. At home and at neutral sites we are one of the most efficient and dynamic offenses in the country. With three legitimate scoring threats in Earth, Wind and Scheyer, Duke can beat teams in a variety of ways. The point production of our Big Three is pretty consistent, with each averaging over 16 points per game. Scheyer, Smith and Singler need to continue to get their shots on the road. But these games must be a team effort—the comfort of Cameron cannot always be there to bolster the team during bad stretches. One of the main sufferings during the Georgetown game was our apparent greenness with interior defense. Miles and Mason Plumlee got into early foul trouble, leaving Lance Thomas with the burden of trying to contain Greg Monroe without any backup. Zoubek, unable to guard anyone even mildly mobile, only played two minutes. 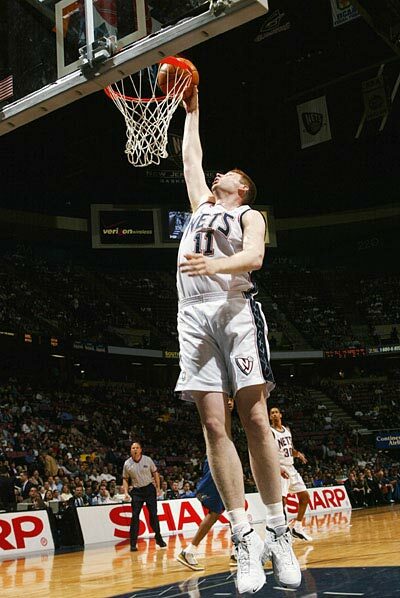 Ryan Kelly also looked like the freshman that he is on the defensive end. Past Duke teams won road games due to a commitment to team defense. We cannot rely on our three stars entirely away from home. Until Duke learns to play as a seamless unit on offense and defense, the road will continue to be rocky terrain. I had reservations about Saturday’s game, although C-T cautiously predicted a Duke victory (don’t call us homers, we didn’t write the Odyssey). This was a huge game for Georgetown, and you know that Obama’s special appearance sent all those future lawyers and government lackeys into a frenzy. I did not expect to lose—I hardly ever do—but I was prepared for the possibility. What I was not prepared for was how badly we lost. Coach K said in his post-game comments that Georgetown was “electric”—the team, the fans and the ‘grayed-out’ stadium. As Coach said, we couldn’t match the intensity the Hoyas brought—they played with urgency for 40 minutes. So what can we take from a game that most Duke fans will want to wipe from their memory? For one, I was pleased to see the freshmen get some experience playing in a big out of conference road game against a powerful team. None of them ‘lit it up’—Dawkins missed several open threes he would knock down in Cameron, Kelly looked flustered, and Mason was overpowered by Georgetown’s Monroe and Julian Vaughn. But unlike in past years, they stayed on the court. Obviously, the quick whistles of the refs put Miles and Lance on the bench, necessitating more minutes out of Mason and Ryan, and Andre has proved his road worthiness at Wisconsin. Nevertheless, the experience of playing in that pressure-cooker of a stadium will greatly benefit our three first-years in the long run. I was happy to see Coach K use his bench in a more than nominal fashion. It was also reassuring to watch our guys fight for loose balls to cut a 20 point deficit to 12 in a final run capped off by Mason’s emphatic dunk. Although Georgetown had all but sung the fight song at that point, our guys did not hang their heads and walk toward the locker room. They preserved their dignity and tried to make it at least look like a competitive game. What did we learn in D.C.? That we have a lot to learn. Let’s rebound this week with a vengeance victory versus Georgia Tech, and get ready to face those bottomfeeders down in Chapel Hill. Crazie-Talk thanks our readers for sticking with us in these tough times. 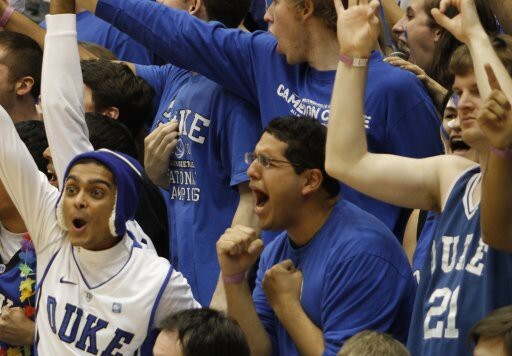 That’s how Duke fans are. Let’s not start pining for Kyrie Irving just yet, we have a lot of season left to play. Go Duke.